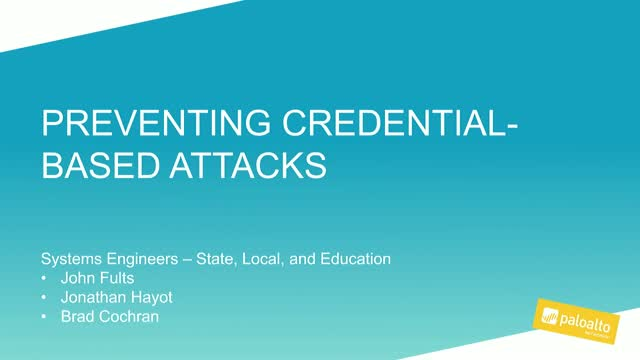 Credential theft is one of the first steps in common attack chains. How can you prevent credential theft with the infrastructure you have today? If credentials have already been leaked out, how can you stop their abuse? We will show you how Palo Alto Networks can help you bring peace of mind when it comes to credential theft and abuse.